Get rid of your clunky and manual AP Processes with this simple Acumatica add-on from Crestwood Associates. With this easy add-on, you will save your accounting team from chasing down paper invoices and streamline your Accounts Payable invoicing experience, from data entry, receipt of invoice, to approvals and payments. 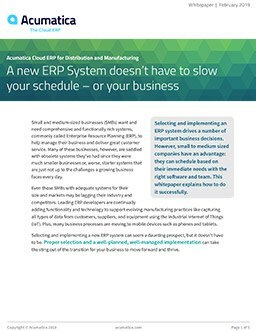 Reduce AP time by 50% with the easy automation tools; such as, bringing in invoices directly from your email inbox. 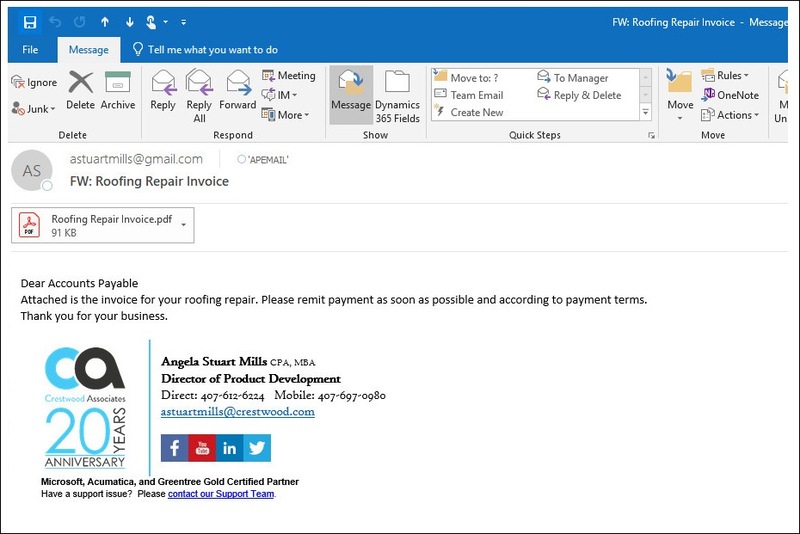 Then, view all the details of your email message and invoice in Acumatica and use the 1-click button to create a bill. 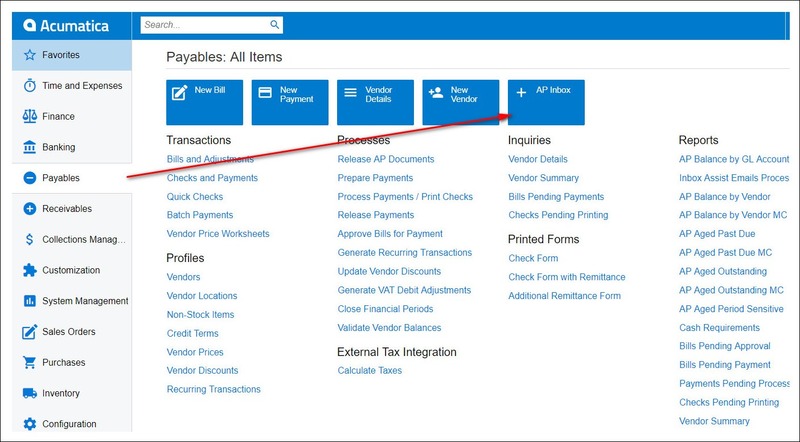 This 1-click bill create button allows you to create AP bills on the fly with the vendor invoice attached. You can also add new vendors quickly and easily, add additional AP information, and mark the checkboxes to process and move to the next invoice. Making AP easy and secure is now possible. 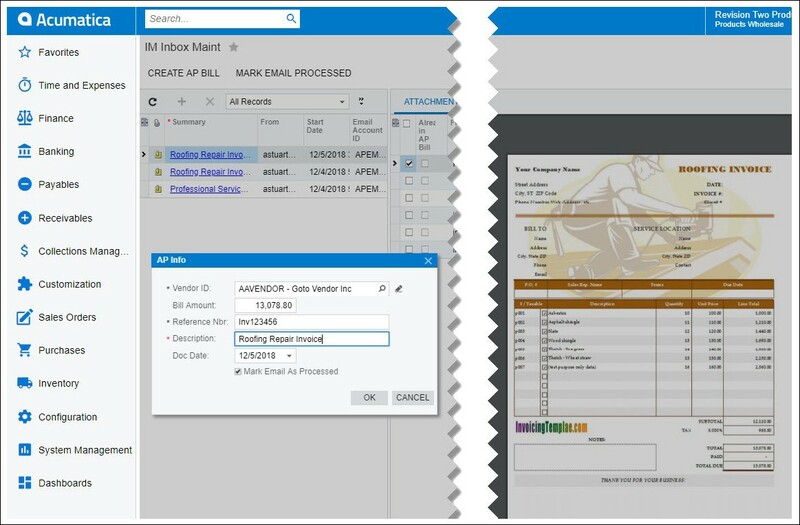 Natively built in Acumatica, easy 1-click features, attach invoices to emails, use your existing Acumatica workflows, and more. This is one add-on you don’t want to go without. Founded in 1998, Crestwood Associates, a Acumatica Gold Certified Partner and 2-time Acumatica Partner of the Year winner (2016 & 2017), brings you simple, yet powerful, add-on products for Acumatica. As the leading Acumatica partner, we developed add-ons to fill the gaps our clients required. Now we are sharing them with you and your clients. Standing behind our Acumatica add-ons is a team of highly qualified professionals. The Crestwood team has collected an extensive array of Acumatica certifications, as well as complementary industry credentials. For more information, visit www.crestwood.com.